Here is presenting First Look Poster of Baadshaho featuring Emraan Hashmi. 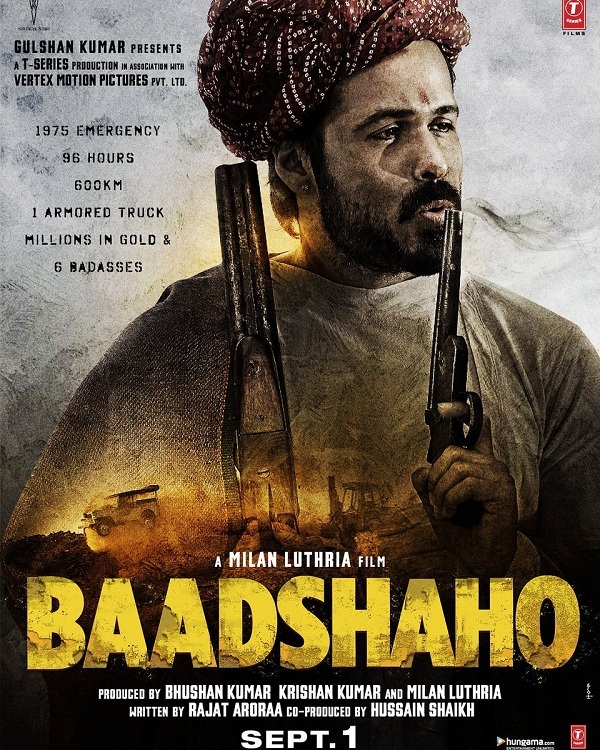 There are 6 badasses in Baadshaho and Emraan is having one of those pivotal roles. Ajay Devgn first look is already out yesterday and today Emraan Hashmi is released. Looks like maker will release first look of each character each day and it is a good promotional strategy. Baadshaho is directed by Milan Luthria. Film is slated for release on 1st September, 2017 and is one of the most awaited film of the year.